So often we have people calling or coming in telling us that they had gone to see the repairer that their insurance company recommended – surprise, they weren’t pleased with the job they were pressured into. There are many of us RAA approved repairers around Adelaide, and it’s important to find the best one for you. Below is an excerpt from a consumer awareness guide we released so consumers in Adelaide could choose a repairer right for them. Many people have the attitude that insurance companies will only send crash repair work to the best, most reputable repairers. More often than not, this is NOT the case. 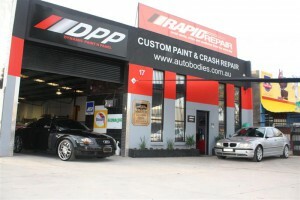 The theory most people make up is that their insurance company will refer you to a good repairer in order for you not needing follow up repairs should the repair work be subpar. The harsh reality is that most of the big insurance companies will send you to have the repairer that will cost them the least amount of money. After you have paid your premiums insurance companies are reluctant to pay any back, which is why so many send you to less than great repairers. Quite often insurance companies will have their assessors come up with the lowest possible price to fix your car. This leaves the repairer no option but to cut corners with their repairs. While this is the WORST POSSIBLE WAY to fix your car, often the repairer has no choice otherwise, they cease to get the insurers work. A real “damned if you do, damned if you don’t” situation. They take the risk that YOUR car won’t be fixed properly in order to save themselves an absolute bundle. Although that really isn’t fair to you (or your car). If you have a “freedom of choice” option as part of your policy it means you have the choice of any repairer you like. Most people don’t realise this and are coerced by their insurers to go with whoever is recommended. This can be a costly mistake. BE SURE TO FIND A INSURER THAT HAS FREEDOM OF CHOICE It’s YOUR Car, and YOUR decision. Don’t let them pressure you into doing what is most profitable for THEM.